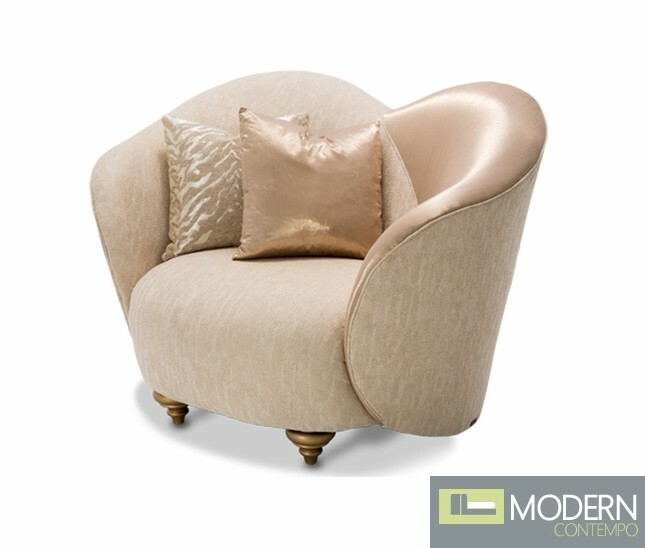 Add a glamorous, decadent look to your formal living room with this chic and comfortable Camelia Collection. 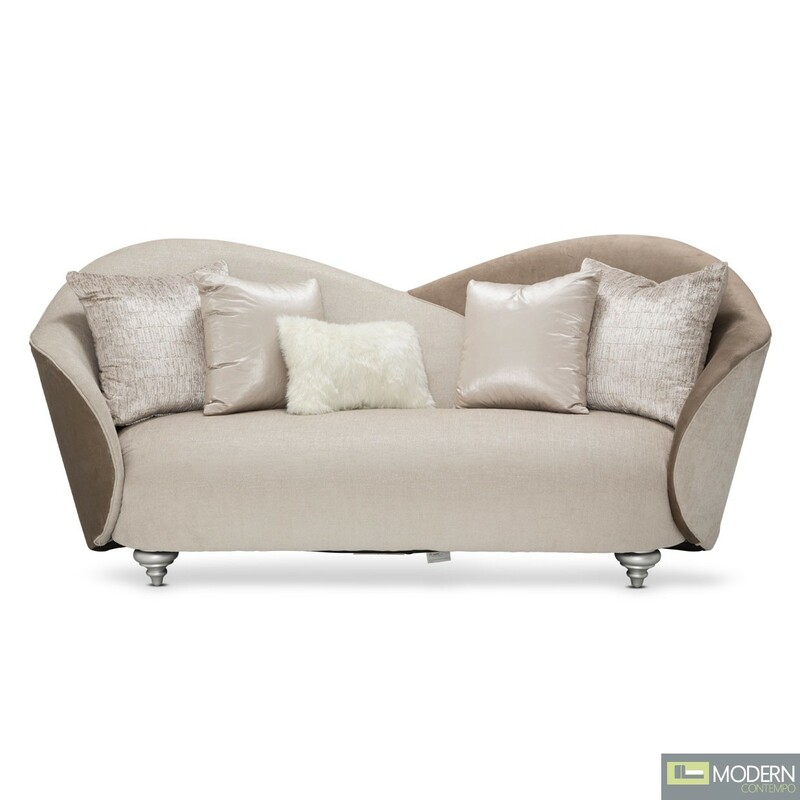 Featured in USATODAY's HOME magazine, the Camelia is one of the latest designs by world renowned furniture designer Michael Amini. 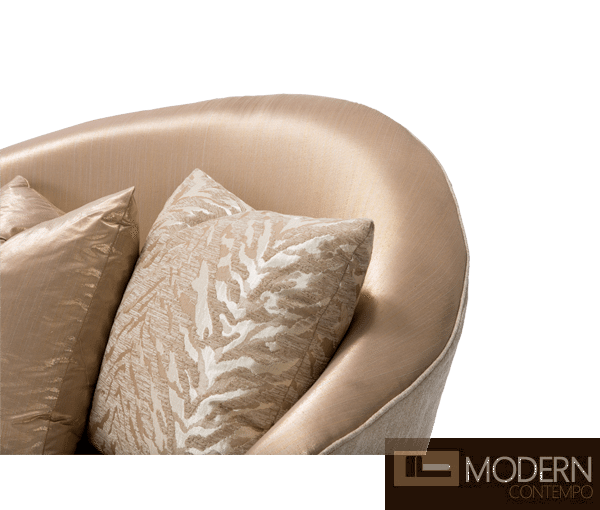 Offering a refined and impressive look to your home decor, the voluptuous curves and clean lines of the Camelia collection will dazzle guests, while bringing a distinguished look of elegance to your living space. 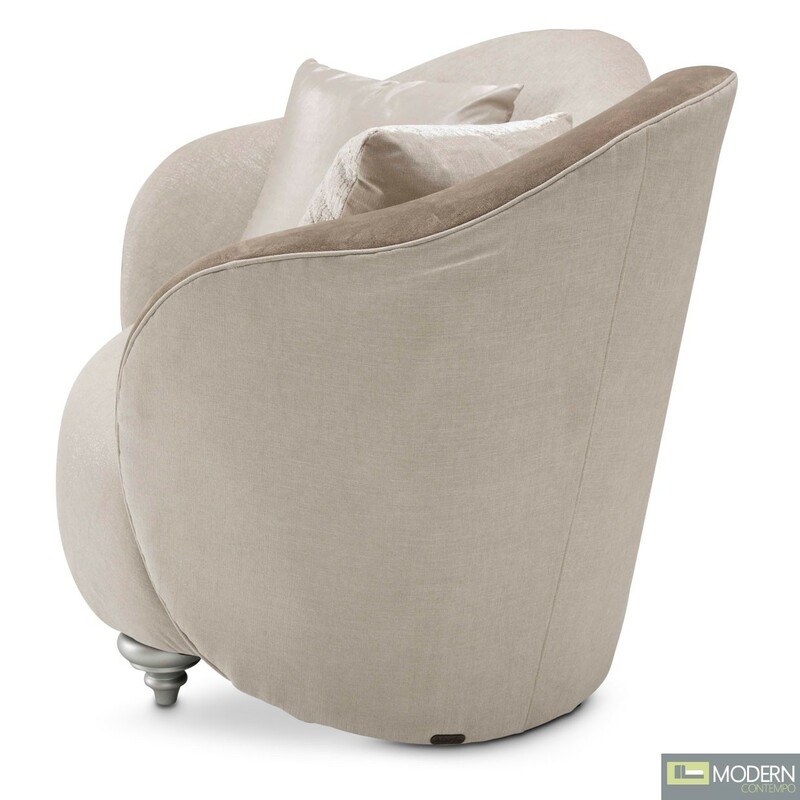 The tight seat cushions are comprised of a high density foam cushion wrapped in a luxurious upholstery to ensure a comfortable, relaxing and lasting seat. 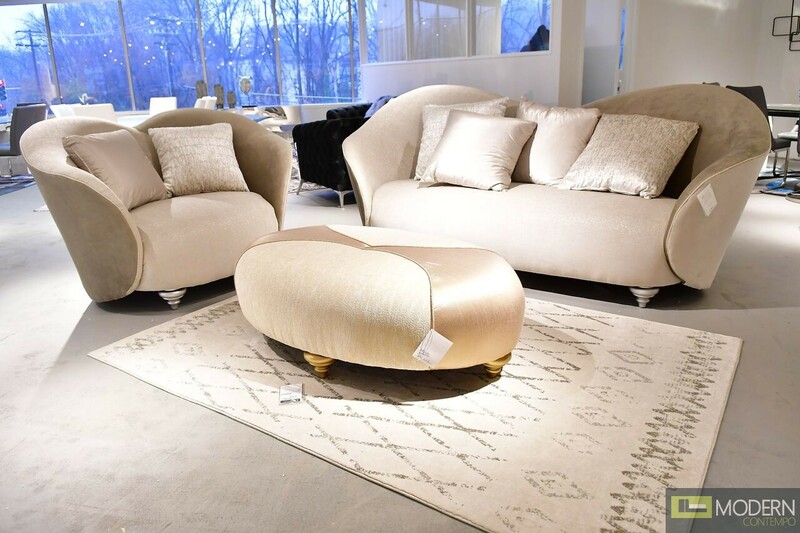 Several accent pillows and gold turned feet add a touch of opulence to the composition. 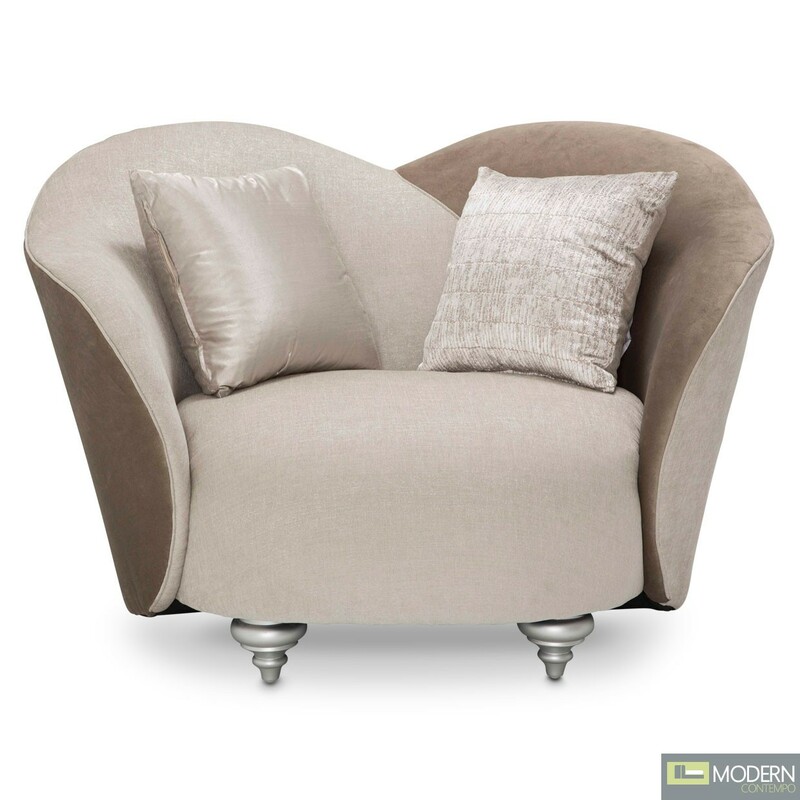 ST-CMLIA38-ORO-806 Chair and a Half 56.00" 37.00" 38.00"
ST-CMLIA15-ORO-806 Fabric Sofa 89.50" 39.00" 41.50"
ST-CMLIA79-ORO-806 Oval Cocktail Ottoman 52.00" 34.00" 18.00"